It's pretty chilly here in West Lafayette. 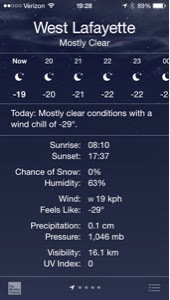 Right now it's -19C with -29C with the wind chill. Kids are off school again tomorrow, third day in a row.